Since I roasted the vegetables and made the crust the night before, it was easy to assemble. in fact, we reheated it for breakfast the following day. were also from the January issue. I made extra ribs so we would have leftovers. (store bought, with a spritz of fresh lemon juice). 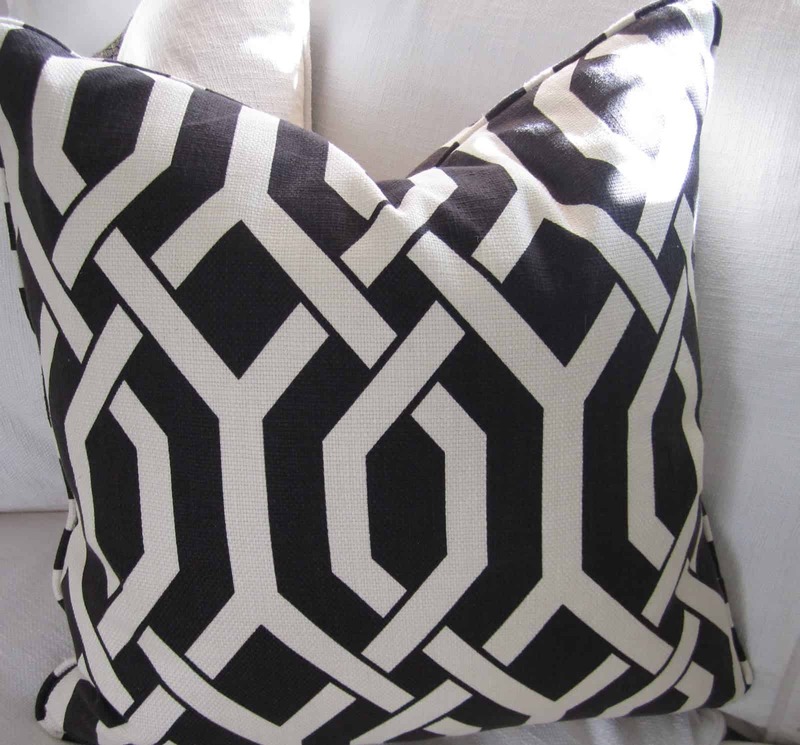 This woven plaid pillow was just $40 including the down and feather insert. This one is $60. I like that these pillows have self welting and invisible zippers. My cousin (an avid gardener) and I strolled around Roger’s Gardens in Newport Beach. These all weather wicker and zinc hanging baskets were 75% off. 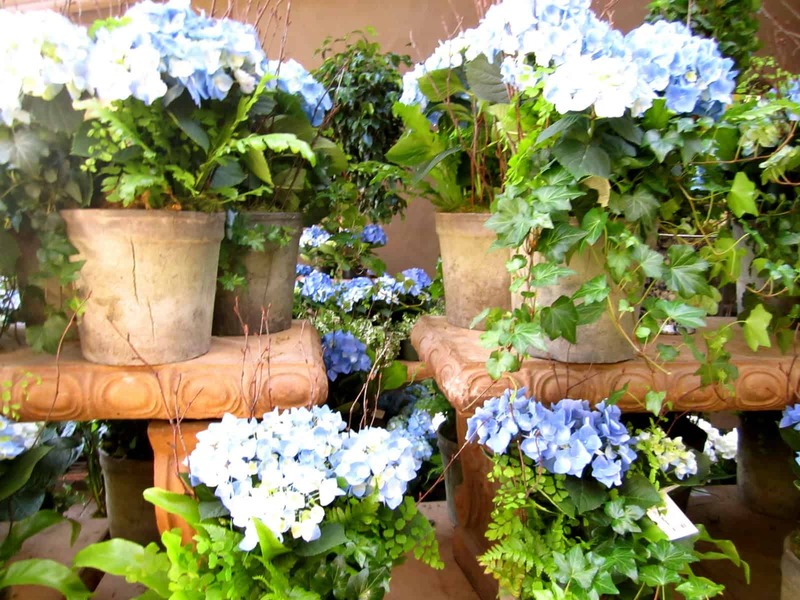 Speaking of outdoor décor, Vignette Design did a beautiful post on Asti, California. but it’s owner went back to college yesterday. Ah, thanks for the mention! Loved seeing your tablescape and delicious tart. My son is going back to college this afternoon for his last semester. Looking forward to no more tuition after May! Your menu looks amazing…love that the tart can me prepped ahead of time. 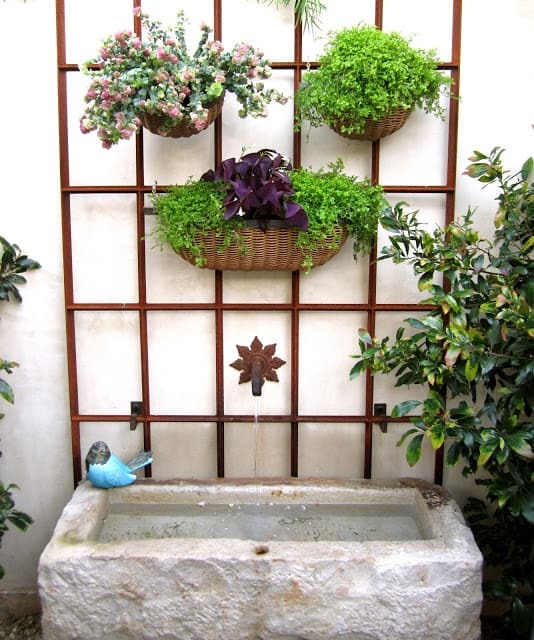 Love your finds at Rogers gardens and the way they look above your fountain…gorgeous! I always take my out of town guest there as well. So fun to just walk around…but even more fun to get a bargain! I'll bet you are missing Tommy…even if it is "safer" in your living room. 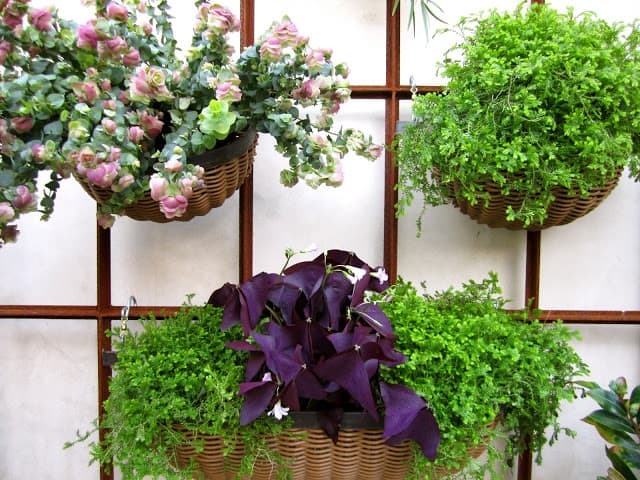 Mary Ann I have the same basket that I purchased this year and I put lime and black sweet potato vine in it. I have it hanging on a black grill work in my backyard, Love it!! I really love what you did with your grill work and baskets. When I read citrus I came right over, love anything with citrus in it. Delores has two lovely homes and she is one of the nicest people I have met from blogland or any land for that matter. She is as warm and inviting and lovely as her homes. Looks amazing, Mary Ann! I am definitely trying this menu. I love Bon Appetit! I was so afraid they were leave us, but thank goodness not! Great bargain. Love the pillow. Have a great Sunday, and thanks for sharing. Yum! I'm hungry now. I'll add the tart to my recipe file 🙂 Thanks for the heads up on the pillow sale. I'm off to check it out! That tart looks soooo good. 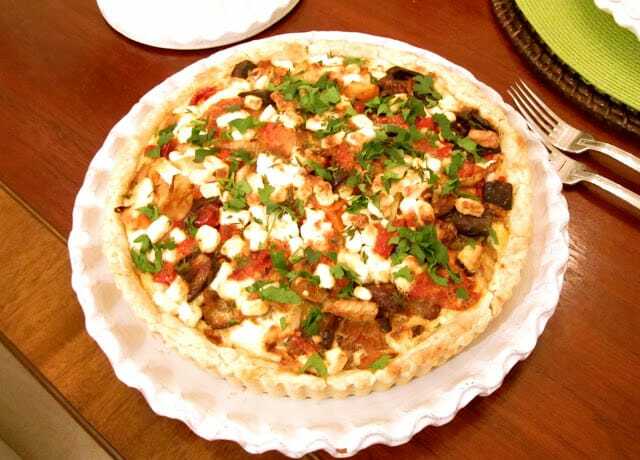 I am going to have to try that, any kind of tart or quiche has my name all over it…yum! Adn your table is equally beautiful..great deals on the pillows, wow! Glad your "hazard on wheels" is no longer in your way…..we have a few of those ourselves around here! Have a great Sunday afternoon, Mary Ann! What a wonderful welcome for your cousin…….the food looks yummy and your table is so inviting. Great decor buys and inspiring photos. Take care & warm regards. Mary Ann, the meal looks so good because I have not had anything good this weekend. Love the pillows and what bargains. 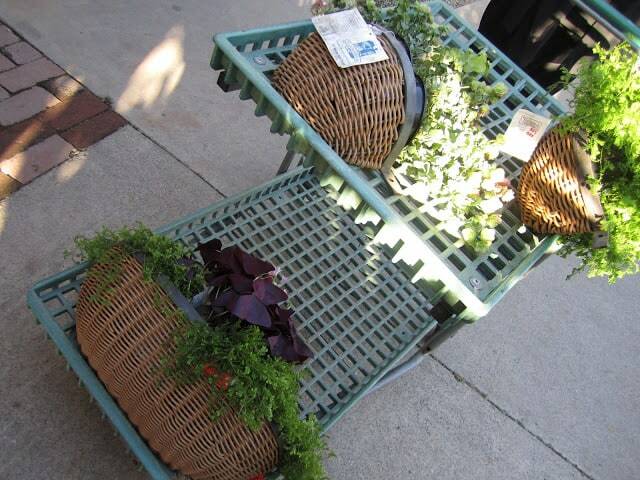 Great planters! The tart looks delicious and the table setting is great. Love all the green! I am a huge MG & BW fan, their pillows are wonderful. I have a slipcovered sofa, ottoman. dining chairs and two headboards from them. Also, love your hanging baskets! I am envious of your beautiful California weather. Enjoy it!! Ahhh yum to the veggie tart AND ribs…..pie crust and ribs in one meal? Yes thank you. That table & chairs with the light hanging from the trees is just dreammmmmy. 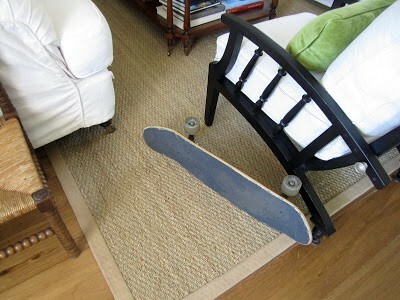 I bet you miss the skateboard's owner! My daughter will be headed back to college on Tuesday. I am so sad! 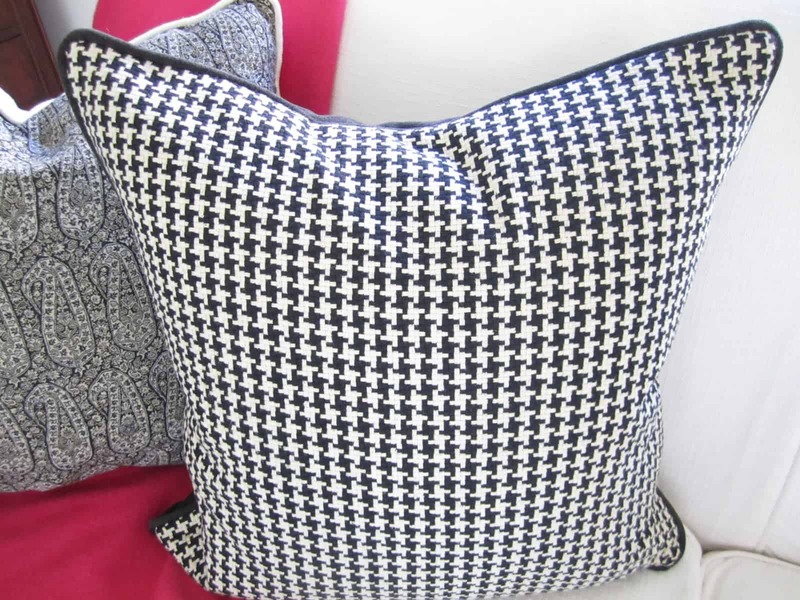 WHat a lovely post, and I wish I had a sofa full of the houndstooth pillows, especially for the BCS national championship game! Roll Tide! Yum! That tart looks delish! 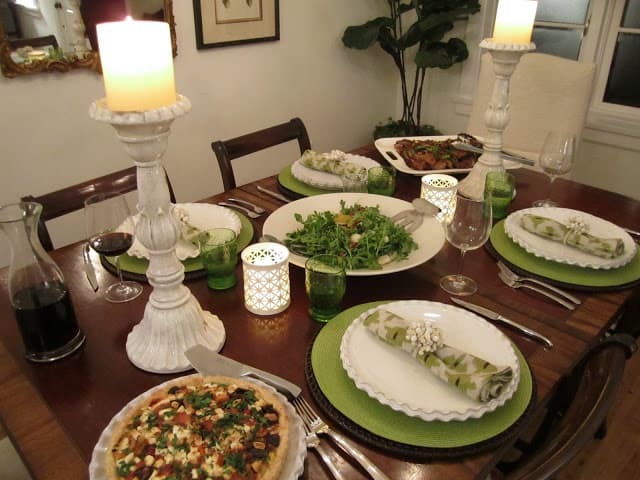 Your table looks wonderful – love that fresh green! 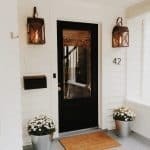 Love the wicker and zinc baskets! Thanks for sharing. Oops,I meant "head up to"…and also I love the pillows and baskets you picked out. Your table looks just beautiful with the bright greens, white, and dark wood. The meal looks delish. Love all your bargains too!! 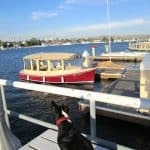 Mary Ann, I have missed visiting your blog the last couple of weeks. Life sometimes gets busy. We are back trying to get caught up.Your menu looks wonderful and those pillows are a great deal! That tart looks SO good! And what a pretty table you have set! We are still using plastic plates for the little ones at our table – it will be a big day for mom when everyone can sit and eat at a nicely set table like yours! Skate boards, oh boy. I loved seeing the hydrangeas and what a gorgeous view! I could sit there all day. Lucky guests your meal looks and sounds wonderful. Yum! It looked delish. I am heading to check out those pillows today – thanks for the tip. Oh I bet you will miss tripping over that skateboard:). Must stop by MG&BW today to feed my addiction! Wish I lived closer….I would have shamelessly invited myself over for dinner. ha ha. Just retrieved the Bon Apetit from the recycling. 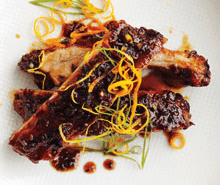 Your meal looks delish – will have to try. My husband even thought it looked good, until I told him it was roated veggies instead of a pizza. 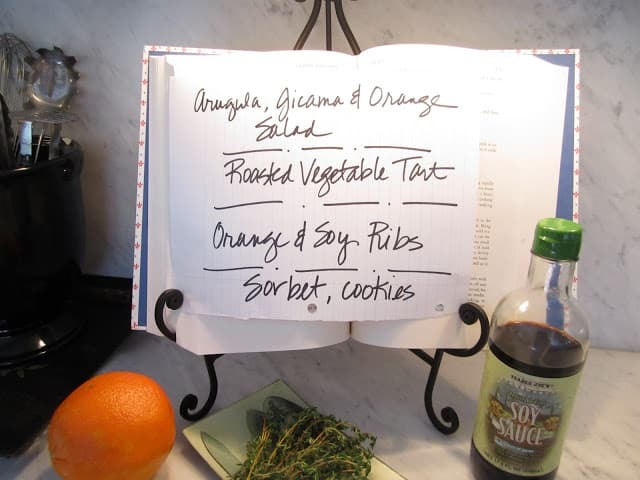 Oh the palates I have to feed – they are challenging! Pillows and fabric – my weaknesses. What great deals on those pillows! Your meals always look so so good! Yum, yum! Your menu sounds so good. The little blurb about the skateboard made me smile. We've been tripping over all the new Christmas toys at our house too. I think this may be my dinner tonight…looks fabulous and the pillows are a great deal…have to check them out!! Your meal looks incredible!! Love the new pillows too! Your meal looks amazing! Your table is lovely! I also love the pillows! This is a gorgeous post! Thanks for sharing! Love those pillows! And, yummy food!! Thanks for stopping by and commenting on my Impossible Challenge! Glad I found you and am following. One day, I hope to live in CA – you can make me one of those amazing looking tarts! Hope you will link up to our Impossible challenge on Jan 31 too. Yummy menu, it's wet and overcast here and I really need a fresh menu to pick up our spirits! M.
The tart looks delicious. 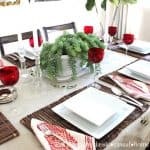 I love the way you've set your table–beautiful! I also love Roger's Gardens. I could use a trip there about now. Yum to you on the food you prepared. They say we eat with our eyes first and your dishes were great. Just gorgeous. Beautiful table and beautiful food!